With Cloudburst consultants’ help, local leaders researched and spoke directly with leaders of regional organizations elsewhere in the US, in the process of designing their own solution. Over the course of the planning year, other working groups developed the capacity to use data to improve planning, and improved the coordination of services and referral information to make it easier for clients to be served throughout the region. In its first full year of operation, the “St. Louis Area Regional Commission on Homelessness,” or SLARCH, has established a diverse leadership, embraced data-visualization tools to support regional as well as local planning, provided training in using local data for decision-making and implementing key homelessness concepts, and set up the means to improve Coordinated Entry placements across the region. In November 2018, SLARCH leaders voted to undertake a regional initiative: Ending Veteran Homelessness by Veterans Day 2019. The Veterans Challenge will further knit the communities together through common lists, uses of data, and housing-placement practices and, with St. Louis Mayor Lyda Krewson’s endorsement and active support, SLARCH expects the initiative will achieve this goal and build on this success for years to come. People working in adjacent communities, on similar efforts on behalf of the same clients, never knew each other before. They are now collaborating across the region as well as working closely with the VA. Regional leaders opted to establish data-visualization dashboards as fundamental elements of the Commission, supporting regional, as well as local, planning and analysis. City of St. Louis Mayor Lyda Krewson agreed to champion the Veterans Challenge, bringing this initiative far more prominence and reach than it would have if each of the communities were going it alone. While real hurdles remain — including selecting a backbone organization, and raising funds to support programs as well as core activities — many in the community believe that SLARCH is going to thrive and allow the region to make significant and measurable progress to reduce and end homelessness. This cross-state regionalization appears to be the first of its kind in the US. 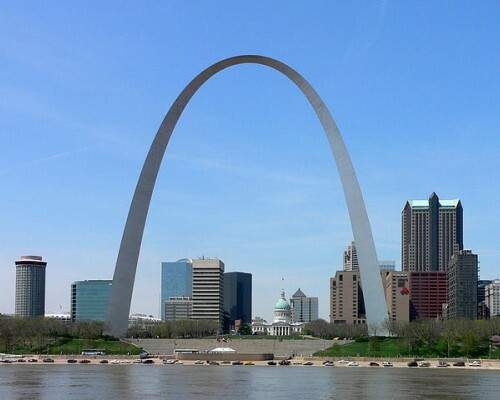 The hope is that the St. Louis experience — including models of service coordination, data visualization, and leadership structures will be documented and disseminated for other areas of the nation to learn from.